Iowa. A state included in a region known as the “flyover states.” We’re cool with not having as much stuff to do as many of you, but that doesn’t keep us from using our wit to attract you to our glorious cities. The family jumped into the car on Sunday for a little trek to the Williamsburg Outlet Mall (yes, unfortunately one of the main attractions in the state). To me, anytime we get in the car and leave town, it’s an opportunity to explore. I am anti-interstate even if it adds time to the trip. I think this mindset started after crying profusely during my first viewing of the movie Cars, but that’s a very true story for a different day. I enjoy the stumble-upon moment, and while interstates have made us more efficient, they’ve also made us more boring and less appreciative of what our communities have to offer. Twenty minutes into our drive from Ames, we passed the neighboring community of Nevada. Every time we drive by, I always chuckle. 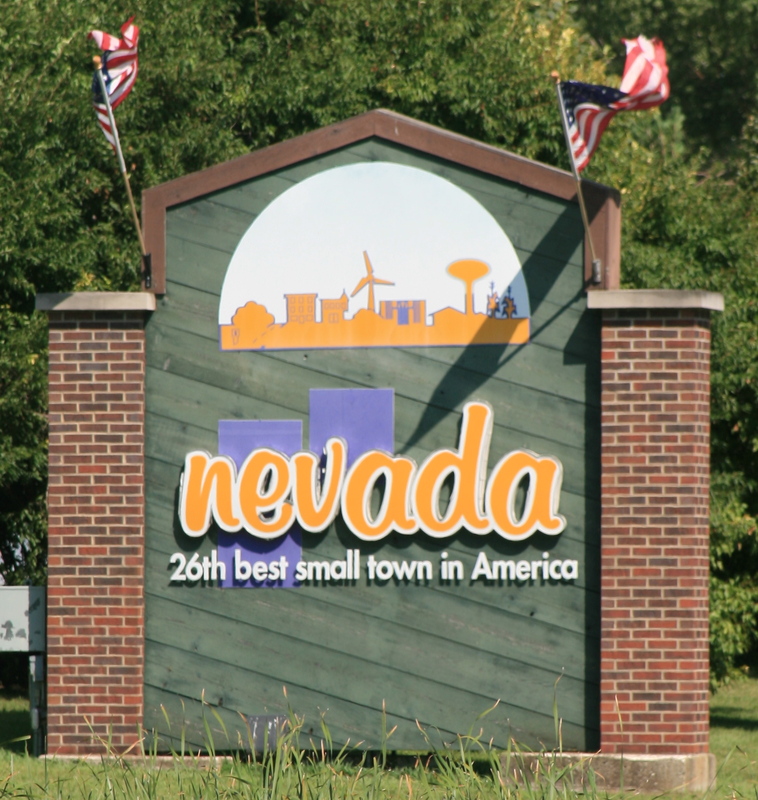 Welcoming people on Highway 30 sits a sign that proudly states, “Nevada, 26th best small town in America.” I love it. First of all, Nevada may be the first anything to proudly claim 26th place. Come to think of it, we Iowa State Cyclones would humblebrag “other receiving votes” in the Top 25 rankings. I digress. But seriously, etching 26th place on an expensive sign is so ridiculous that it’s awesome. Personally, I equate Nevada (our county seat) with my marriage license and my failed attempts to claim witty Cyclone-themed vanity plates. I salute you Nevada. During the rest of the drive, I couldn’t stop thinking about the funny ways cities market themselves to attract visitors. Upon returning home, I did a little research in search of other Iowa cities with wit. 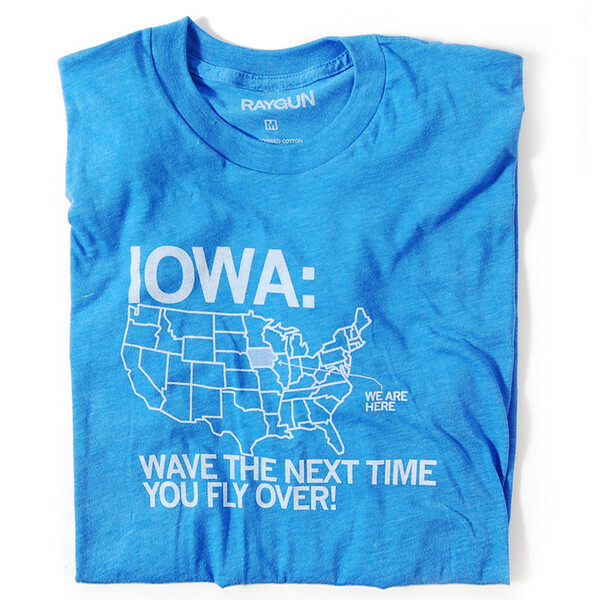 Of course, I stumbled upon Iowa’s favorite t-shirt company (RAYGUN) and their collection of town slogans. Hilarious. So I started thinking a little more. 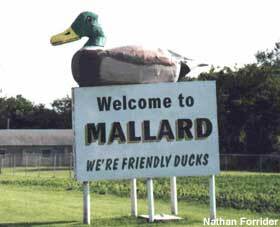 What if I had the opportunity to determine the slogan for a collection of Iowa towns? Oh man, this could be fun. 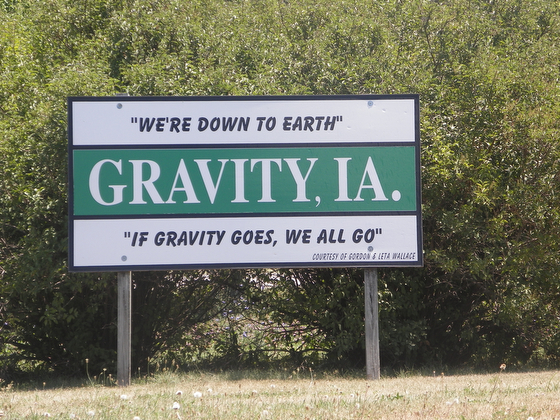 So without further adieu, I present to you my 20 ridiculously awesome potential Iowa town slogans. I claim no trademarks on these slogans, but only ask cities that adopt these slogans to invite me to the ceremony to give them a high five. Have any other witty suggestions? I’d love to hear them! Nice job, Steve. Hope you are doing well and hope that we get to see each other in August. Waterloo: We put the water in the loo… you’re in charge of the rest. 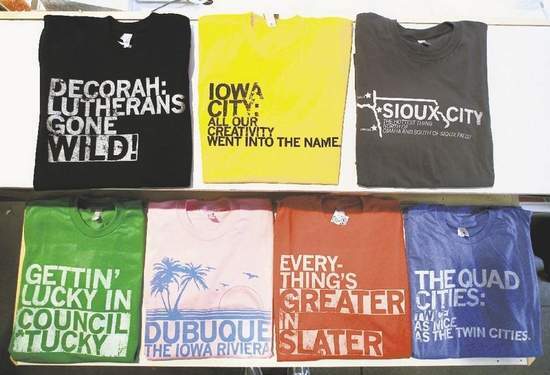 Cedar Rapids: We may smell like oatmeal, but at least we don’t smell like Sioux City! సెప్టెంబర్ 24, 2012 Experience Quality Service with GoDaddy!The first name that comes to mind when think about hosting a westbie is godaddy.com. In my personal experience, one of my friends suggested me to host my westbie using the service of GoDaddy. In the beginning, i decided to use this service only as a trial. But after experiencing the service of GoDaddy, i am a strong follower of this web hosting company.The service specifications like reliability, user friendliness and value addition are the key attractions of godaddy.After using the service, we can say that it is really worth associating with this hosting service. They offer various domain deals highly favorable to different groups of users.Their service is widely available in different countries and in many languages.The company is highly customer oriented by providing 24/7 Support for their customers. I will recommend this company for sure. They are providing excellent service in this category. We can avail high quality service at highly affordable prices with GoDaddy. Limesprings Iowa has this slogan. “Best Town By A Dam Site! ” There is a actual dam by the town.